Sardinia Blue Zone tour, discovering the secrets of a long life. Welcome back Richard and Barbara! Two years ago we’ve had a guest couple from NYC, that time we created a custom tour exploring west Sardinia. Well, long story short, that tour went so well they said: “That tour was the best holiday of our life, so we want to come back with you”. So that compliment was really something to us! Perhaps this secret is in our fresh and local food, or in our Cannonau wine, maybe it’s because of our way of life, maybe the Sardinian genes. Since Richard and Barbara are a geneticist and a psychologist they wanted to understand why. We designed a custom tour to explore Oliena and the Supramonte, the Orosei Gulf with Cala Luna and Nuraghe Mannu, the villages of the inland and the highest mountain of the Gennargentu range. We added some insightful experiences like a lunch with a local (real) family, then we made the gran finale with a scenic hike to Perdalonga, at the southernmost part Orosei Gulf. 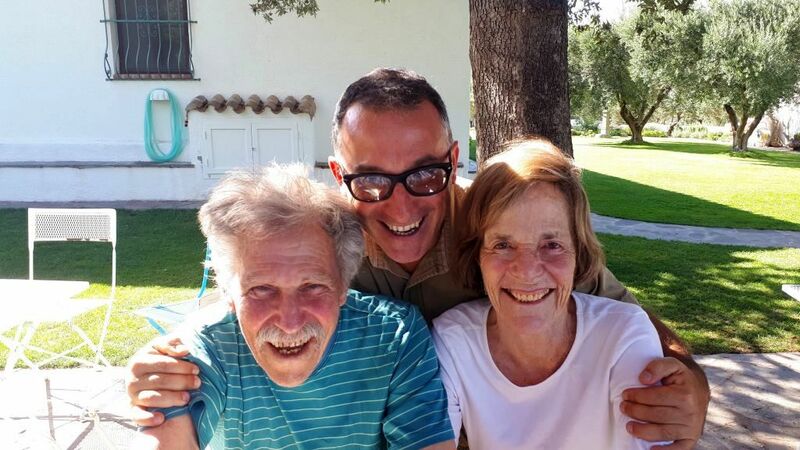 Richard and Barbara, Grazie for the love and the passion you have for Sardinia!